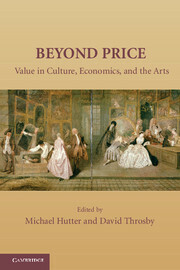 The books in the series are occasional volumes sponsored by the Murphy Institute of Political Economy at Tulane University and Cambridge University Press, comprising original essays by leading scholars in the United States and other countries. Each volume considers one of the intellectual preoccupations or analytical preoccupations or analytical procedures currently associated with the term 'political economy'. The goal of the series is to aid scholars and teachers committed to moving beyond the traditional boundaries of their disciplines in a common search for new insights and new ways of studying the political and economic realities of our time. The series is published with the support of the Tulane-Murphy Foundation.